An ancient dog variety that served the Magyars in what is now Hungary, the Vizsla has been recognizable breed since the 10th century, where it was used in falconry long before shotguns were invented. Looking a bit like a rust-colored German shorthair, he points and retrieves on land and water. Almost extinct by the end of World War II due to armed conflict and political gyrations that left Hungary a shadow of its former self as a nation-state, the Vizsla’s comeback was hastened by introduction to the U.S. in the 1950’s. While the smooth-coated variety is most prevalent, there is also a wirehaired version of this noble breed. Affectionate at home, powerful in the field, according to the AKC the Vizsla “possesses an above-average ability to take training.” As one of the smaller versatile dogs, he makes an excellent choice for an “inside dog." 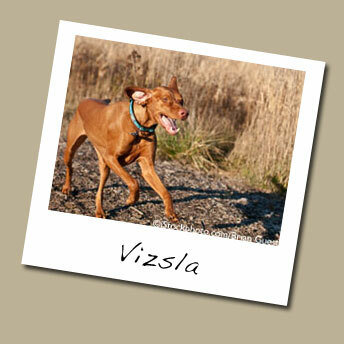 Learn more at: http://www.akc.org/breeds/vizsla/index.cfm.